Manuia le aso. Kia orana. Ia ora na. Greetings. 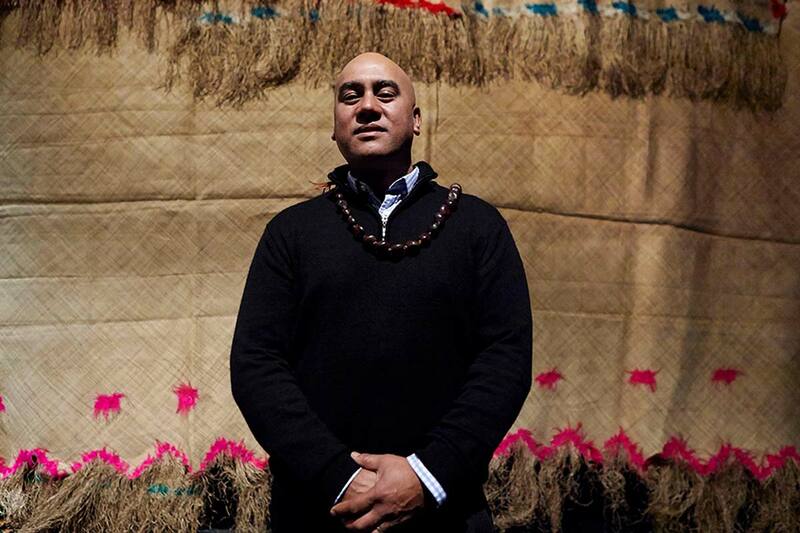 I’m Michel Tuffery, a New Zealand-based artist of Samoan, Rarotongan and Ma’ohi Tahitian heritage. My kaupapa within my art practice is the role of working “in between” as a connector by placing a fresh lens on environmental, community, cultural and art historical divides. I had the benefit of being in the first wave of artists with Pacific ancestry to work within the contemporary art world and we all came to prominence in the early 1990’s. I’ve sustained an amazing art career, with incredible platforms to engage myself creatively all over the world. As an active participator in contemporary culture my artwork is curated into major international exhibitions and commissions. Having undertaken numerous research and community residencies throughout the USA, Germany, France, United Kingdom, Asia, India, Australia and much closer to home Aotearoa and proudly the Pacific. It is always an honour to be recognised by the art world and in 2008 I was appointed as a Member of the New Zealand Order of Merit for services to art. However, the real reward is to enrich communities through my art. Enjoy my website and keep checking in as art and news lands here. I’m open to opportunities for public speaking, residencies, collaborations and commissions. 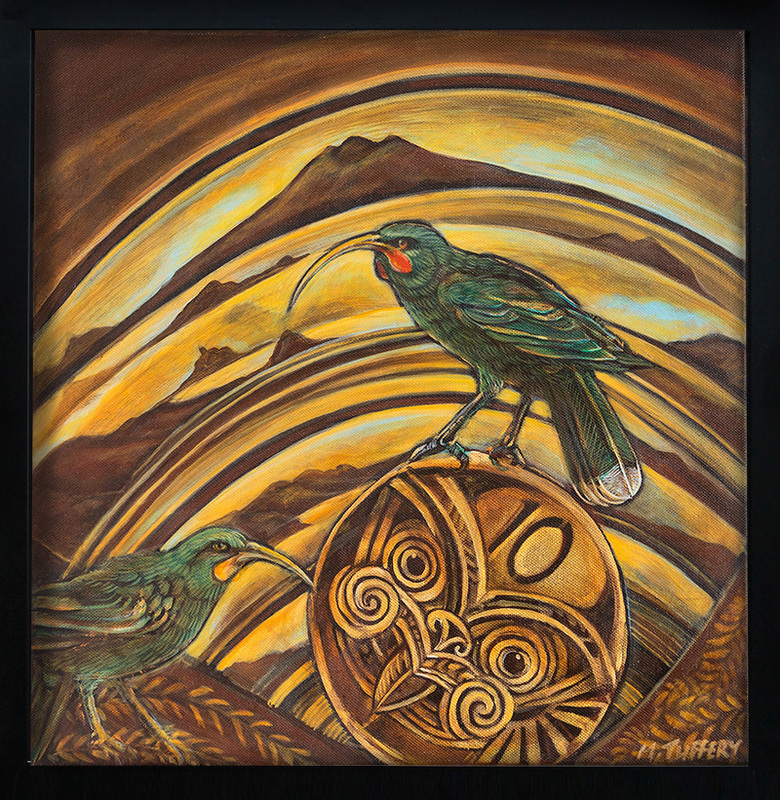 A Radio New Zealand interview with Kathryn Ryan about how my Pacific Island heritage influences my work. Reading Middens, Tracing Lines is a 2016 exhibition which followed my residency on Waiheke Island. Scott Ewing, a local ‘Waihesian’ was commissioned jointly by the Waiheke Community Art Gallery and the Waiheke Island Community Cinema to document my thread of study during my artist in residency. Watch the result below, awesome times! The exhibition was well received with all the paintings sold out, however there’s still the beautiful limited edition emboss prints and cast bronze shells for sale in my online store. This website was created with the assistance from Creative New Zealand.